Petite and sleek and perfectly on point! A tiny sculpted spear dangles freely from a hand-turned loop and ear wire. 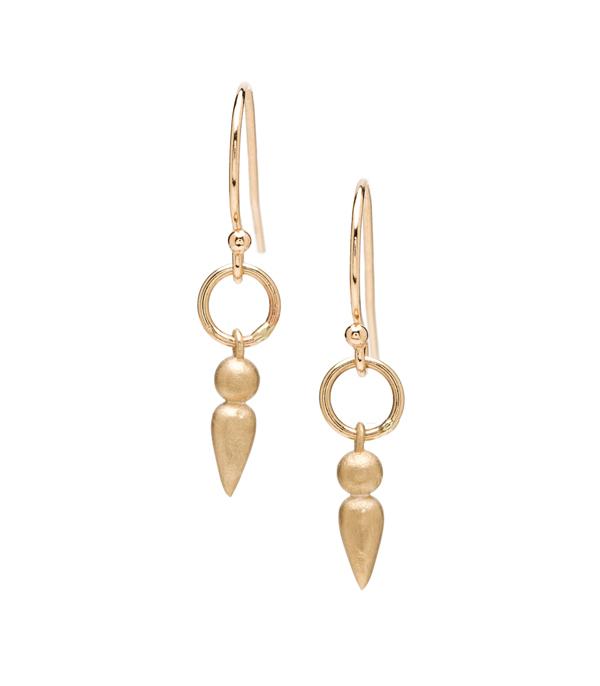 These modern spear tip earrings are a fabulous way to add a little edge to your ensemble, while keeping a bright disposition. Categories: Aria, Earrings, Under 500.